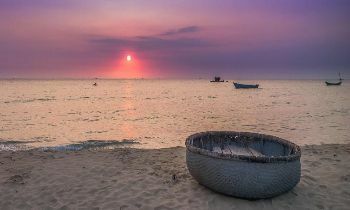 With the pristine charming beauty, Phu Quoc tour is always on the bucket list of many travelers when coming to Vietnam. 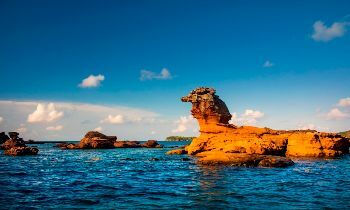 Described as “the tropical paradise on earth”, Phu Quoc owns various lovely beaches that can touch the heart of any visitors. 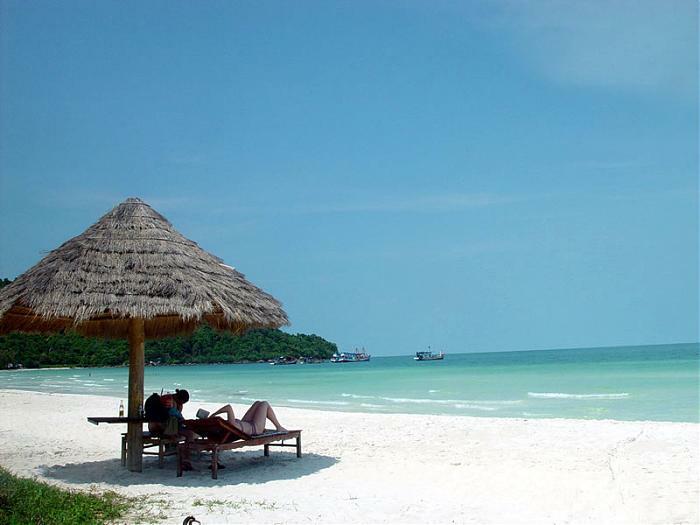 Vong beach is one of the most popular tourist spots in Phu Quoc, offering tourists many exciting sea activities. Vong Beach is situated on an industrial beach located on the eastern side of the Pearl Island, to the south of Ham Ninh Fishing Village and about 8 kilometers away from Duong Dong Town. 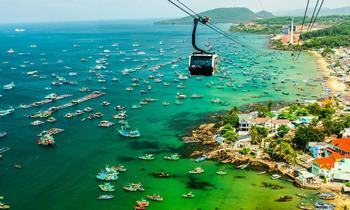 The beach is near the ferry terminal taking visitors to Ha Tien and Rach Gia and vice versa. 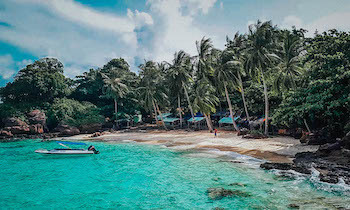 For many visitors, Vong Beach may be their first impression of Phu Quoc island since this is where most of the passenger boats from the mainland. It’s sandy and lined with swaying palm and poplar trees, but the seawater here may be frequently thick since there are lots of jellyfish living here. 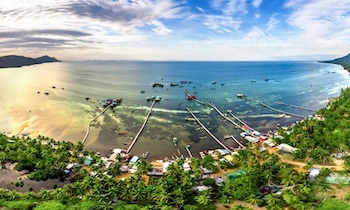 The beach is impressively large and long with Phu Quoc National Park's evergreen forest hills rising behind it. The sea here is fairly shallow, making it safe for unprofessional swimmers as well as children alike, however, few tourists choose to swim here since unfortunately, the development of economic activities in this area has had a negative impact on the beach. 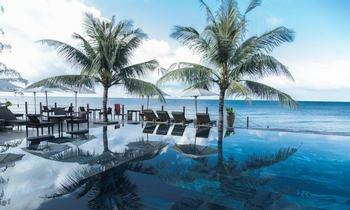 However, from the position of Vong Beach, the scenery of the mountainous ocean jungle is truly marvelous. In fact, Vong Beach is a port rather than a place for relaxation: at present there are at least two long and concrete piers under establishment here, stretching hundreds of meters out to sea since the tourist number is predicted to increase in the coming years. Because of being a large and shallow beach with the white fine sand, Vong beach is an ideal place for picnicking and paddling. This is not a great spot for snorkeling, but with the shades of greenish trees and several basic places to eat at, it can be the fine option for a couple of hours. 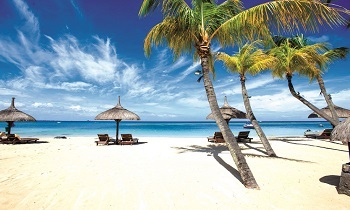 You can find out the palm-lined site of the beach or visit a local restaurant serving local attractive snacks. It's also a good idea to follow the tracks by the motorcycle to find the more remote and deserted parts of the beach. Moreover, Vong beach is a fascinating spot to take pictures of the wild pretty beach, combining with the evergreen jungle behind it. 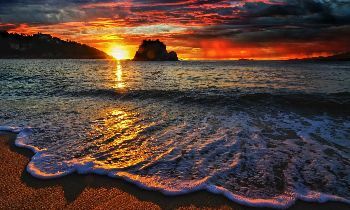 Besides roaming on the beach, visitors can go to two piers here and record the breathtaking scenery. From the pier, the sunset and sunrise are truly magical with the sky lighting up in numerous shades of pink-purple, orange, and red. While watching the sunset, you can take a fishing rod, a hook, and some bait (a small shrimp or squid) and go fishing at the pier. 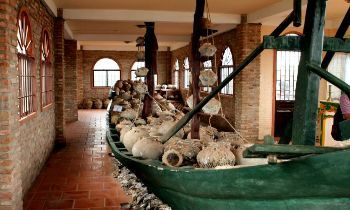 Besides, travelers can visit a local factory of anchovy processing nearby. Anchovy is the main ingredient to make the Phu Quoc fish sauce specialty. Basing on the season, you can expect to see jellyfish in the water. It's easy to find and observe them while standing on the pier and looking down into the sea. There are also snakes and other reptiles occurring along the forested area behind the beach. According to the locals, there are some macaques in the forest near the southern part of Vong Beach so if lucky enough, you can see them. ►How to get there? The route from Duong Dong Town to Vong beach is quite smooth as all the path are paved. Head towards Ham Ninh Fishing Village and then turn right on the roundabout near “Lenny’s Cafe” and you will go to National Highway 46 and reach An Thoi Town. 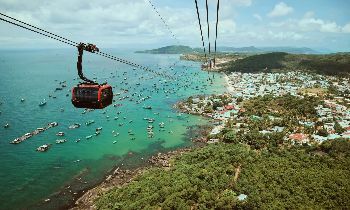 You will see a large road on your left-hand side that is 300 meters from the roundabout and this road will take you to Vong Beach and the ferry terminal. ►Be sure to carry your sunglasses and plenty of sun cream. When the sun is shining, you can be dazzled and your skin will quickly burn. In the dry season, walking on the beach in the middle of the day can burn the soles off your feet. Notice that all the Vietnamese women are forced to work on the beach in the daytime wrap their heads fully with towels to protect themselves from the sun rays. They are really aware of the conditions. ►You shouldn't come here on the rainy season since sometimes it is likely to be stormy. ►If unnecessary, it's better to avoid come here at noon time. 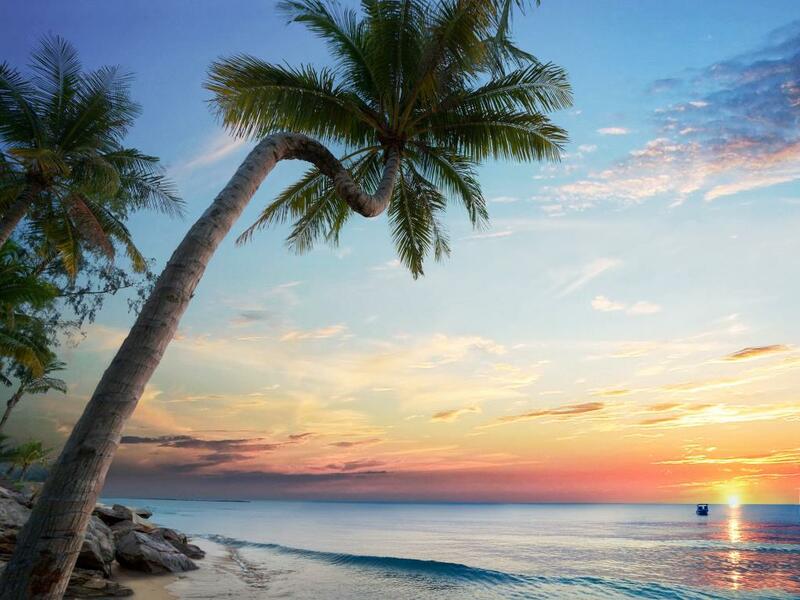 ►This beach is a good option for short time, but the beach doesn't have many attractions. You may be bored if you plan to stay here for long. 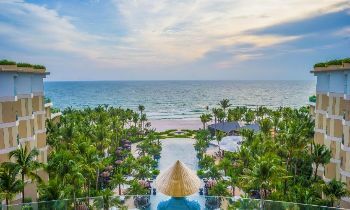 Coming to Vong beach, you will take a chance to roam on the white sandy beach, enjoy the beautiful natural landscapes and take part in the amazing sea activities in the cool and refreshing atmosphere of the immense ocean. Do not hesitate to explore Vong beach and have an enjoyable trip.